Winner of the Kaki Warner giveaway! Thanks to everyone to commented on Kaki Warner’s guest post, One woman’s tips on writing in the male point of view. What a fun post! The winner of a brand-spanking-new copy of Colorado Dawn is…Amel Armeliana! Congratulations, Amel! I’ve sent you an email asking for your address. U.S. readers, this week you have the chance to win Lisa Dale’s contemporary novel Slow Dancing on Price’s Pier. 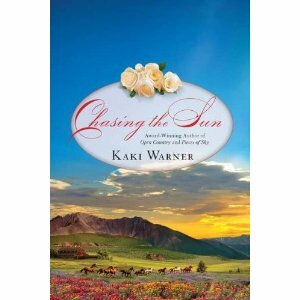 In Colorado Dawn, Kaki Warner’s trademark humor, grit and attention to detail come together in a beautifully vibrant, entertaining, and emotionally gripping story. Maddie and Angus Wallace have spent only a few nights together in their six-year marriage. The last time Angus deserted her to rejoin his regiment, Maddie struggled unsuccessfully to make a life with his family in Scotland. She finally leaves and strikes out for Colorado Territory, where she becomes a celebrated photographer introducing the world to America’s west through a female eye. She tells her new friends in the failing mining town of Heartbreak Creek that she’s a widow, a lie that catches up to her when Angus (now Viscount Ashby, or Ash) seeks her out because he needs an heir. But how can she even think about forgiving him, much less giving up a meaningful career, for a lazy life among the backbiting aristocracy? And how can Ash give up centuries of duty for a life thousands of miles from his family and heritage? I’ve read all of Kaki Warner’s novels, and they go from strength to strength. Colorado Dawn is the second in her Runaway Brides series (Heartbreak Creek is first), and this novel cements Kaki’s place as one of my favorite novelists. For me, one of the great pleasures of reading a Kaki Warner novel is the voice she gives her heroes. They’re rough, rugged and funny, but they’d do absolutely anything for their heroines. Unlike their Victorian England counterparts, there’s nothing polished about them. They’re survivalists, and it’s a good thing because hoo-boy! Kaki throws a hell of a lot of conflict their way. Though Ash is a new member of the British aristocracy, he has much more in common with the sheriff and ranchers of Kaki’s previous novels than he does with English toffs. Ash is a Highland warrior, a soldier, who has suffered grave injuries and losses. Although he devoted most of his life to his career, and was devastated to lose it, he has managed to keep his sense of humor, as shows in this scene when he’s driving Maddie back to town after a night of passion. So I asked Kaki for some advice, and she’s been kind enough to share her tips. Leave a comment below and you could win her latest novel, Colorado Dawn. DISCLAIMER: In no way is anything I write here meant to be insulting to men. I speak in gross generalities (and mostly about American men). I am fully aware there are MANY men who are sensitive, fully in touch with their feminine side, and the total opposite of what I am about to say. OK? OK.
Let’s start with the obvious: Men are pretty basic. That’s not to say they aren’t complicated, thoughtful, or fully aware of what’s going on. Most of the time they just don’t care. Certainly not the way women do. Ask a woman how she feels, and you’ll get a complete rundown of how she slept the night before, how bloated she feels, how upset she is because of what her BFF said, how mean her boss was, if she’s starting her period, yadda, yadda, yadda. Ask a man how he feels, and after a quick mental check: Am I hungry? Sleepy? Thirsty? Horny? He’ll usually answer fine. And that’s that. Winners of the Kaki Warner giveaway! Thanks so much to everyone who commented on my interview with Kaki Warner. I’m so glad you liked it – isn’t she hilarious? I loved her answers to your questions. Now, time for the winners. Like I said, Kaki’s giving away three copies of Heartbreak Creek, and since this interview series is in honor of my husband finishing his PhD, I’m also giving one of those winners Paul Auster’s The Invention of Solitude. I’ll email each of you, so if you don’t have an email from me in your inbox soon, then check your spam folder or email me at romancingkatrina[at]gmail[dot]com. And don’t forget to leave a comment on my interview with Beverley Kendall for a chance to win her e-novella and Bobbie Ann Mason’s In Country! Don’t miss any of my Hearts and Minds interviews; make sure you subscribe to my blog, follow me on Twitter, or like me on Facebook. Thank you to everyone who stopped by to read my interview with the lovely Ashley March. I hope you enjoyed it as much as I did. I also hope you’ve bought her short story, Romancing Lady Cecily – I read it the day it was released and loved it! 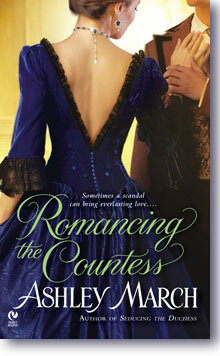 Congratulations to Cathy P, who wins her choice of Ashley March’s novels – either Seducing the Duchess or Romancing the Countess! Linda, you also win a copy of The Things They Carried by Tim O’Brien, as part of my Hearts and Minds giveaway. Everyone, make sure you check out my second Hearts and Minds interview. 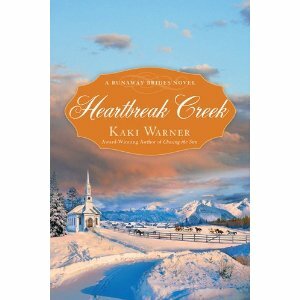 Kaki Warner is one of my favorite novelists, and she’s giving away a copy of her latest release, Heartbreak Creek. You do not want to miss it! 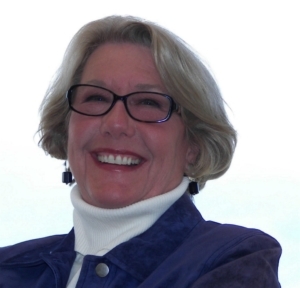 Interview with Kaki Warner – and giveaway! Kaki Warner may have debuted last year, but she swiftly became one of my all-time favorite novelists. Her RITA-award-winning historical Western novels are chock-full of quips, spine-tingling tension, and fascinating detail. I’m so happy to have her here today as part of my Hearts and Minds giveaway, where you can win books that appeal to your heart and mind. Giveaway details are at the end of the post, after the interview. Hi, Kat. Thanks for inviting me to cross the pond today. I hope you had fun back on my side when you were at RWA Nationals. Wish I could have been there, too. Now on to the questions—and what fun ones they are! 1. Thanks! First off, how on earth do you get such gorgeous covers? Please tell me they’re paintings of actual places so I can put them on my travel list. I have been lucky with my covers. But HEARTBREAK CREEK is the last one in this style. With the next book in this series (COLORADO DAWN), we’re going with people. Fully clothed, of course, and in a pose that might remind you a bit of Rhett and Scarlet on a GWTW poster. (If only). And starting in Oct/Nov/Dec, the Blood Rose Trilogy will be re-released in mass market with a brother on each cover. And no, they don’t look much like how I envisioned them. In fact, poor Brady was minus the mustache he was so proud of, so my husband photo-shopped one on for me. Problem is, when I sent cover copies to various websites, I sent the wrong one. (Fun trying to explain that to my editor. But she was very gracious about it, thank goodness). They’re nice covers, too, but the one of Hank (OPEN COUNTRY)… whew. He’s exactly right. 2. The time and place you write about—the American West after the Civil War—is one that seemed to be skirted over in my high school history classes, and you make me so curious about it. What’s the strangest fact you’ve learned about American history from your research? The period after the Civil War was a time of shocking and rapid change. After so many years of destruction, the country seemed to explode with new ideas, innovations, and an urgent desire to escape the war-ravaged east and head west. For five years ranches had gone untended, and when men returned home, they found unbranded cattle running wild all over the southwest. Enterprising fellows gathered them up by the tens of thousands to stock newly formed ranches totaling hundreds of thousands of acres each. Railroad expansion, the discovery of gold and silver, the curtailment of the Indian tribes, and the promise of free land, all drew people west by the droves. But probably the most enduring legacy of those short years between the war and completion of the transcontinental railroad was the birth of the myth of the American cowboy. And it’s still alive today. 3. Your first series, the Blood Rose trilogy, centers around three brothers struggling with their ranch in New Mexico Territory. Your latest focuses on women who are starting new lives in a Colorado mining town, and your humor shines through more. After having the Wilkins family in your head for decades, how difficult was it to come up with a new community of characters, a different setting, and a lighter tone? It was easy. Just cut back on the cussing and kill fewer people. Actually the Wilkins brothers were pretty intense. There was a lot of family history to deal with, which made those books a little darker. With the brides trilogy I just tried to come up with some ladies I’d like to hang out with. I think when you get a bunch of girlfriends together, there may be a few tears, but there’s also a lot of laughter. That’s what I wanted to capture. Even during the hard moments, these ladies find a way to lighten the mood with laughter. 4. Your characters are always so intricately drawn and realistic that I can still hear their conversations in my head months after I’ve read one of your novels. Now, that might say just as much about my mental state as it does about your skill as an author, but pushing that aside for a moment: how developed are your characters when you start writing a new story, and how much better do you get to know them as you write? They’re not all that well-developed at the onset. I know how each character wants the world to see him or her, but it takes a while even for me to get beneath the layers to the person underneath. I joke about it, but I’m still learning about them when I get to the end of the book. For instance, I didn’t know Declan was afraid of heights until page 300. It made sense, but also made for some interesting re-writes. But by the time I finish a book, I know the characters as well as I know anybody. And not to worry—I still hear them in my head, too. And probably always will. It keeps them alive in my imagination. 5. I love the way you write male characters. They’re exactly how I imagine frontiersmen would’ve been: tough, quietly funny and mystified by women. Unlike some romance heroes, they don’t seem like a woman’s idealized version of men. Do you find men easy to write? Or do you have some special insight into their brains? I think most men are pretty basic. That’s not to say they’re simple or lack depth. But most of the time they’re fairly up front with what going on with them, and aren’t compelled to drag everything out and think it to death. There’s that old joke: Ask a man how he feels and he’ll say, “Well, I’m not hungry, or thirsty, or sleepy, or cold, or hot, or horny…so I guess I’m OK.” So when I’m writing male characters, I try to keep it simple. In dialogue they use fewer words—especially modifiers, or words that describe emotion. They speak in shorter sentences and give briefer answers. They often don’t speak at all, or rely on looks and/or monosyllabic or non-verbal responses. I think they do this because they’re not really interested in the conversation, and are just trying to say as little as possible to stay out of trouble. But that might just be at my house. 6. Every mother says she doesn’t have a favorite child, but all children know it’s a lie. I suspect every author has a favorite character, even if they won’t admit it. Go on—who’s your favorite character of the Runaway Brides series? It changes with every book. In HEARTBREAK CREEK, I really liked Declan—I liked his honesty, sense of honor, his bewilderment, and the fact that he always tried to do the right thing. Then I wrote COLORADO DAWN, and suddenly Ash (Angus Wallace) captured my imagination. Probably because he’s Scottish—my grandfather was Scottish—or because he’s a little lost and at a confused point in his life, and that’s hard for anybody—especially an ex-military officer. But mostly I loved his sense of humor. Humor is a big deal with me. A failing, almost. I’m a lot of fun at funerals. As for the ladies of the brides trilogy—they’re like my friends—and I really do love them equally, but for entirely different reasons. They’re all smart, loving, gentle-hearted warriors. What’s not to love? Kaki’s not just smart and funny – she’s also generous. She’s giving away three copies of her latest release, Heartbreak Creek. And, since this giveaway is to celebrate my husband finishing his PhD, I’m also giving away one of the books that he wrote about in this thesis – one of our winners will receive Paul Auster’s The Invention of Solitude, a memoir exploring Auster’s relationships with his father and son (I figured this one is only fitting to give away with Kaki’s novels, since they’re full of strong, silent, difficult-to-get-to-know men). Just leave a comment below to be entered. I’ll choose the winners on Monday, August 15, when my next guest – Beverley Kendall – will be joining me! Thanks to everyone who commented on the Kaki Warner interview. It was wonderful to meet new people on this blog. Random.org has selected a winner from among the comments, and that winner is…Suzanne! Congratulations, Suzanne. I’ve emailed you. Everyone else, thanks for stopping by, and I hope you put Kaki’s books on your to-be-bought list. They’re well worth it. If you love high-stakes conflicts, wry humor, and compelling characters, you’ll love Chasing the Sun. In the first book of the Blood Rose trilogy, Pieces of Sky, Jack Wilkins is a charming, skirt-chasing young man who’s desperate for two things: Elena (a beautiful woman he grew up with) and freedom from his oldest brother Brady’s control. At the end of that novel he follows Elena to San Francisco to convince her to fall in love with him. In Chasing the Sun we discover he didn’t succeed. When I read the first chapter (which was included at the end of the second book, Open Country), my heart nearly stopped. Daisy? Who’s this Daisy woman? I was primed for the novel to focus on Elena’s growing love for Jack as he proved he could be worthy of her. I loved Elena and wanted Jack to become a better man because of her. Instead, Chasing the Sun shows Jack proving himself to Daisy Etheridge…and to the daughter they created back when Jack was still in love with Elena.